If you're a fan of Winning Eleven games, Pro Evolution Soccer or similar games. Surely you also already know games manager like Football Manager. Now the Football Manager games can be played on your android phone. One of the Football Manager game that deserves you try are Top Eleven. Because the Top Eleven Football Manager games is very fun and full of challenges. 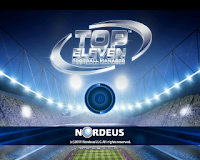 You can become a good manager with a lot of ways to win a game of Top Eleven. - Manage your teams squad and finances. - Buy and sell players in an exciting live bidding system. - Prepare your squad for matches. - Set up formations, coach and mentally prepare players, and build up specific football skills to improve players performances. - Watch your matches live, make substitutions, and give special orders during the match. - Track how your friends’ teams are doing, even arrange friendly matches with them. - Manage the same team, and play the same game, whether you and your friends play it on Android, iPhone, Facebook or TopEleven.com. is this free on android phones?